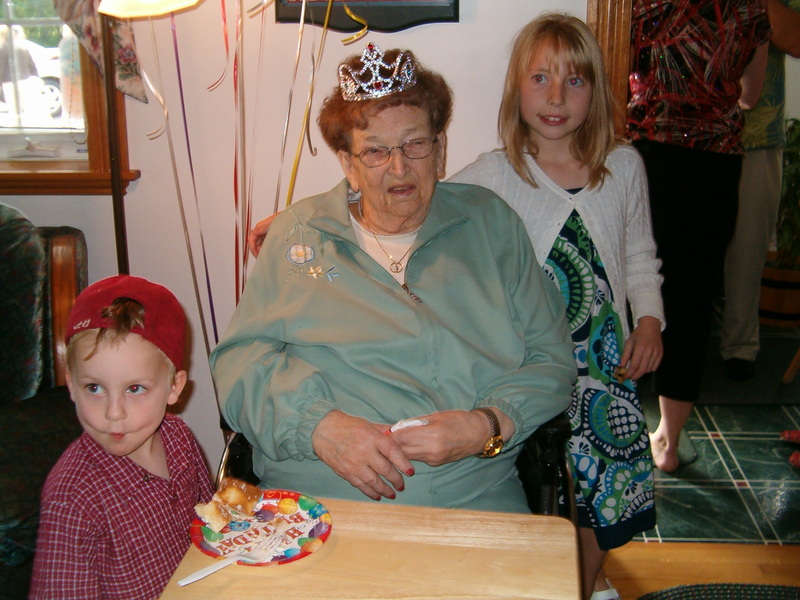 Melissa and Christopher help their great-grandmother eat birthday cake on her 90th birthday. Taken on June 22nd 2008. Sadly the following day the 23rd, Attie passed on.